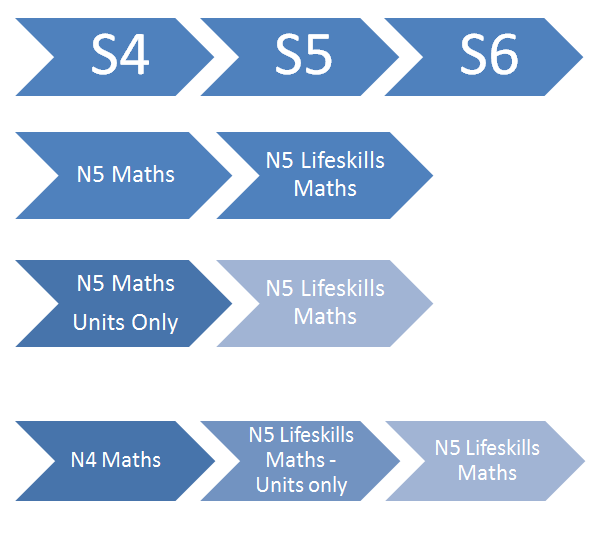 Lifeskills Mathematics offers an alternate route to a National 5 level qualification. There is more focus on practical applications of numeracy, geometry and statistics and less on abstract concepts such as algebra and functions. 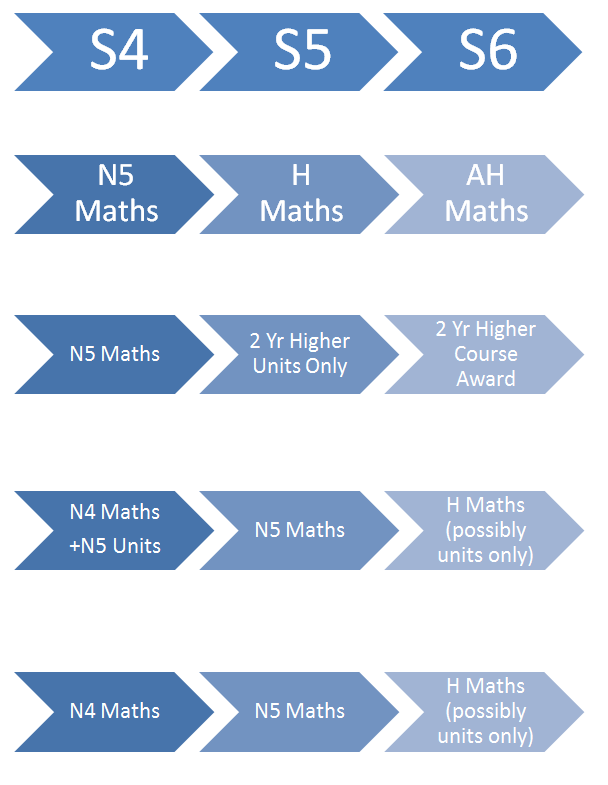 There is no progression to Higher through Lifeskills Mathematics.